This sight can be a bit scary early in the morning the first time it happens. 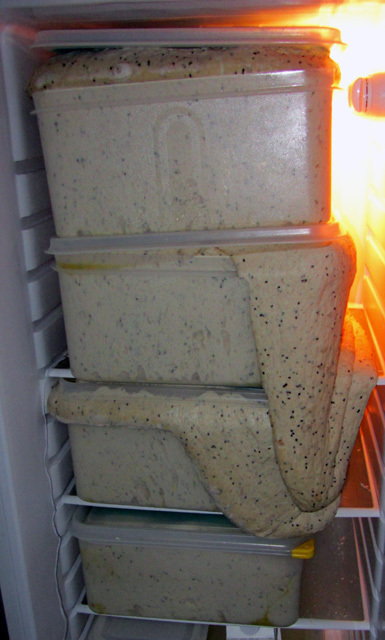 These dough boxes were less than half full when they went in the fridge last night. In the old days it would be six full boxes overnight and force required to wrench open the fridge door glued to the cascading dough. Boxes get wedged so tight against the glass shelves you fear they will shatter – the only way to get them out is to pull the shelves out with the boxes. Those were the days eh, when baking was a real man’s job! !